What are the origins of this intriguing wallpaper printing process? Jean Zuber- founder of the still flourishing Zuber wallpaper printing company -took over the Swiss wallpaper and textile printing business Hartmann Risler at Rixheim, Mulhouse, in 1802. His brothers-in-law Michael Spörlin and Heinrich Rahn had both been working with him, but left together to start their own company in Vienna in 1808. 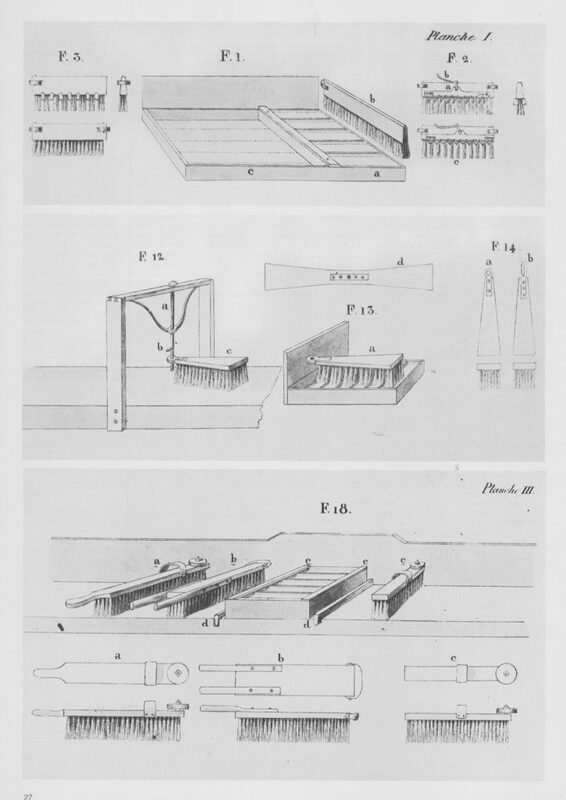 There, Spörlin is credited with inventing the Irisé technique in 1816, introducing it to Zuber in 1819, and eventually patenting it in 1823. 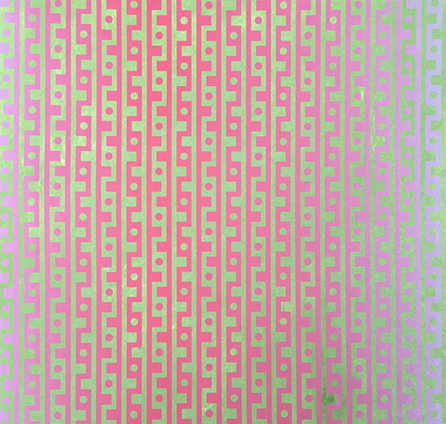 Conceived to imitate the moiré effect of Lyonnais silk textiles, Spörlin’s copyright designs did this by creating an extraordinary optical trick of imitation. First the hand-brushed ground and then block-printed design each blended contrasting colours smoothly together, the design printing dark-light-dark on top of the background blended light-dark-light – or vice versa. 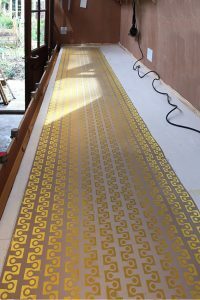 The process combined a divided, gradated paint trough feeding specially arranged brushes to meld colours on the wallpaper, both for the hand-brushed ground and across the wood printing blocks, so the design itself could also be iriséd. Spörlin’s designs include a rotating brush for creating graded colour circles (see see figure 12, below) its use illustrated in some of Spörlin & Rahn’s early irisé wallpapers from the 1820s. Other companies in Germany and France quickly copied the process during the 1820s, before it eventually fell out of fashion – although it continued in use with scenic papers, for graded backgrounds. 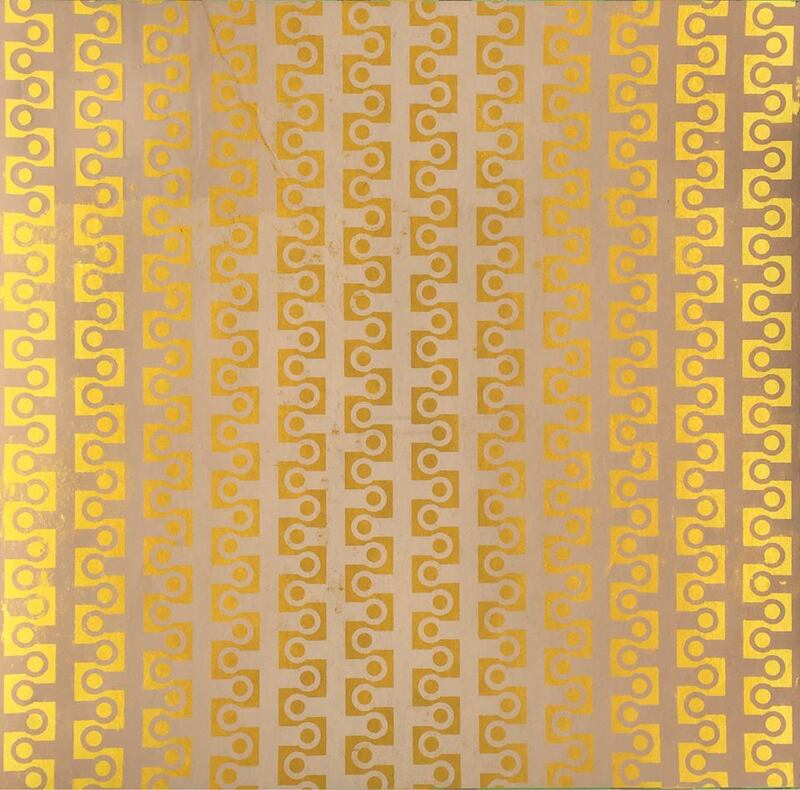 Josef Hoffman’s Wiener Werkstätte company produced several irisé papers designed by Dagobert Peche in the 1920s, and the US company Thomas Strahan -still in business- produced irisé backgrounds (but not the surface-printed foliate design) in the late 1940s. Zuber produced 2 in the mid 1970s, designed by Jean-Michel Folon. Here are Michael Spörlin’s copyright designs, below. 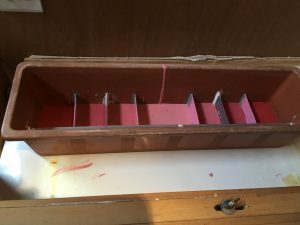 My own brush carriage runs along the printing table’s registration rail, and I’ve made a similar graded pigment trough for hand-brushing grounds. Screen-printing the melded design (known as split-fountain printing) across tens of metres is tricky; the colours will spread unless their relative viscosity is carefully controlled. My first two irisé papers – Zips and PCB – are relatively straightforward, involving just one screen. Two and three screen irisé designs to follow! 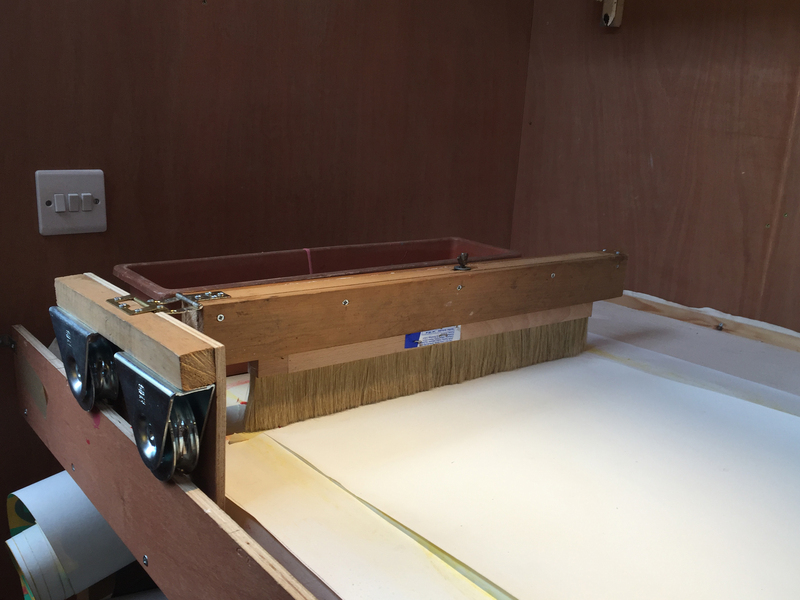 The brush uses the pigment trough below and runs along the registration rail to create a graded ground. The blended Zips design, screen-printed with the Irisé technique. 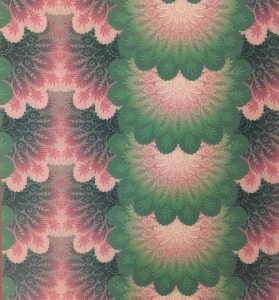 Irisé paper from a Spörlin & Rahn sample book, 1827, produced in Vienna during the early days of the Biedermeier period. You can see circular irisé blends in both the background and on the block prints themselves.